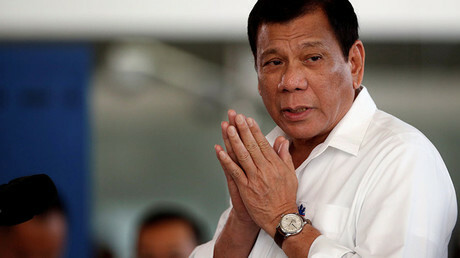 Philippines President Rodrigo Duterte has signed an executive order creating a joint command which will mobilize 21 state agencies to assist in his controversial "war on drugs." The order prioritizes "high value" targets. President Duterte's order, published Friday, outlines a "priority thrust" of the government to suppress drugs and "put behind bars" makers, dealers, and traffickers of narcotics – all while "transforming users into productive members of society," Reuters reported. The order also allows for the creation of the Inter-agency Committee on Anti-illegal Drugs (ICAD), which will consist of government branches including police, military, coastguard, health, education, and social welfare. “The ICAD shall ensure that each member agency shall implement and comply with all policies, laws, and issuances pertaining to the government’s anti-illegal drug campaign in an integrated and synchronized manner,” the order states, as quoted by local media outlet the Inquirer. Some 500 police officers will also be selected for a new Drug Enforcement Group. The unit is set to go after drug financiers, manufacturers and distributors. Another body, the National Anti-Illegal Drug Task Force, was also listed in the published document. It will comprise military and police personnel as well as “institutions called upon for assistance by virtue of the order,” the Inquirer says. The signing of the paper on March 6 coincided with new operations by the country’s National Police (PNP). 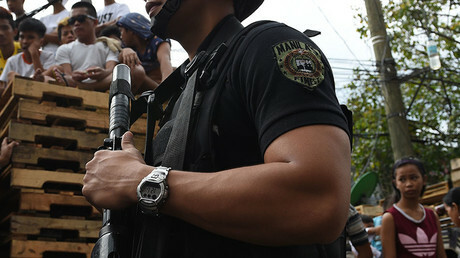 The missions had been put on hold after entire units were suspended over the kidnapping and murder of a South Korean by rogue anti-drug officers. 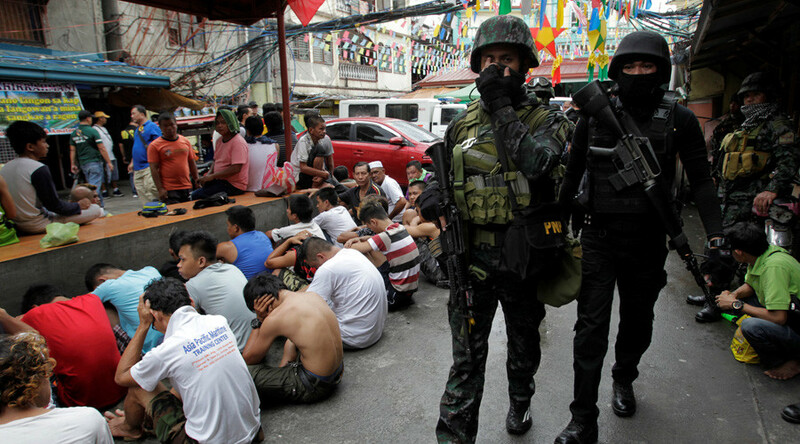 The order published on Friday marks Duterte's latest effort in the "war on drugs" which has led to the deaths of more than 8,000 people since June 2016. Of those, 2,555 were killed in what police say were shootouts during raids, according to Reuters. A total of 48,000 suspects have been arrested as part of the campaign, according to authorities. Duterte's crackdown has led to international criticism, including from the US, EU, human rights groups, and the Catholic Church. Earlier this month, the UN-backed International Narcotics Control Board (INCB) condemned the "extrajudicial killings." The condemnation didn't sit well with Duterte, who on the same day warned of "more killings." Duterte has frequently lashed out at those who criticize his campaign, calling former US President Barack Obama a "son of a b**ch/whore" and giving the European Union a "f**k you." He also called former UN Secretary-General Ban Ki-moon a "devil."